It’s with this in mind that Susan, principal of Susan Jay Design in Los Angeles, created an amazing piece of fine furniture in the master bedroom of a Southern Californian home. “It was derived from my clients’ desire to view the television and fireplace from their bed,” Susan explains. 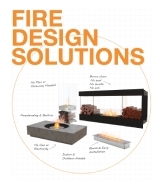 Initially Susan’s clients wanted a wood fireplace, but due to a number of reasons – including building codes – this wasn’t possible, and Susan presented them with the option of an EcoSmart Fire. 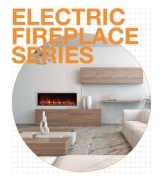 I am a big fan of EcoSmart Fire and believe in their products,” she says. “I find EcoSmart the easiest to work with and the most beautiful. Keeping in line with the design of the home, which Susan describes as having a mid-Century modern vibe, she worked closely with artisan Corey Springer from New York’s acclaimed Wüd Furniture Design to come up with a concept. Susan also wanted colour and visual texture, and Corey suggested rich-hued Australian Walnut – a non-endangered timber – for the cabinetry. Corey then created a lacquer top to further enhance the tones. To ensure consistency, Australian Walnut was also used for the custom-made bed and nightstands. “I love the markings and colour of the wood,” Susan says. And to subtly lift the colour of the cabinet even more, coloured glass rocks were placed in the area surrounding the stainless steel burner. The cabinet was made in New York by Wüd Furniture Design and then transported to Los Angeles. “The installation was brilliant very simple,” adds Susan. Shape Shifter When designing a contemporary new single dwelling from scratch, architectural and interior design firm SAAJ Design in Melbourne was given carte blanche to celebrate as many design opportunities as possible, creating a highly private home with strong connections to the exterior. Mixology Mecca It’s described as one of Berlin’s top 10 cocktail bars, and the Shochu in Berlin is fast becoming as well known for its classic and exotic cocktails as it is for the sleek and sophisticated interiors. Located near the Brandenburg gate, in the Adlon Hotel and adjacent to the renowned Uma Restaurant, Shochu was created by acclaimed designer Anne Maria Jagdfeld. 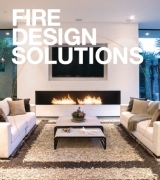 Fire and Water MiCorp is a Sydney building company with a clear objective – to build and provide quality homes and renovations with a personalised service that exceeds expectations. Not a declaration to be made lightly, MiCorp prides itself on listening to clients to together create beautiful architecturally-designed homes, renovations or landscaped gardens. 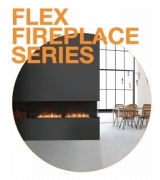 Moving to Modern EcoSmart Fire breathes new life into acclaimed art deco fireplace. Celebrating its 80th anniversary this year, the magnificent Manchester Unity Building has a special place in the history of Melbourne and the hearts of its citizens. So when Dr Kia Pajouhesh, managing director and principal dentist of Melbourne-based Smile Solutions and Chairman of the MUB Owner’s Corporation, took on the task of restoring this building to its original beauty, it was the beginning of a labour of love. Best In Show A new house, commercial premises – and everyone has the same dilemma: Will the colour scheme create the right ambience? Will the new piece of furniture work in the new room? It’s the reason why interior design guru Carsten Batterman has created a purpose-built design studio where architects, interior designers and builders alike can visit, see innovative products in situ and be inspired. Iconic Arcs The iconic outdoor amphitheatre the Hollywood Bowl in Los Angeles is as renowned for its live performances as it is for its architecture – a ‘band shell’ comprised of a distinctive set of concentric arches. It was also the key driver for a third generation Southern Californian resident who wanted to transform her backyard. Home away from Home A cosy, beautifully designed resident lounge in a boutique apartment hotel in New York City has an open fire with elongated flame as the centre element.